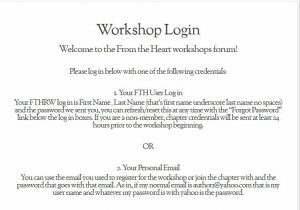 Welcome to the new FTH Workshop Forums! When the drop down menu appears you will see the Workshop Log-In Option. When you click it you will see the Workshop Login Page and it has information on the two different ways you can log in, below that you will see the actual log in box. Note: This page is your LOGOUT page as well later. 1. In most cases you will go straight to the workshop forum. 2. In some cases you will be directed to the Members Only page. 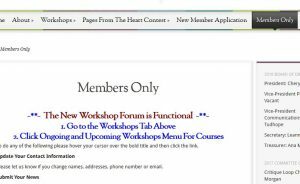 As the directions say, if you are directed to the Members Only Page, simply go back to the Workshops Menu Tab along the menu bar and click it. Then go to the Ongoing and Upcoming Workshops menu and select the workshop you wish to enter. If you wish to see a previous workshop to comment or download materials follow this same process but select the Previous Workshops Menu. You will be able to access previous workshops for 90 days after they close. 3. The third possibility is rare, and is if you remain on the login page and it simply says you are logged in. Do the same thing you would do if you were directed to the Members Only page. Go to the Workshops Menu and find your workshop. Once in the forum, click the large red button at the top to subscribe to receive forum topics/lessons in your email. If you do not click this button, topic posts will not be sent to you. This will not get you follow on comments and replies. When you open a topic/post to read it (in the forum), if you wish to receive follow on comments and replies on that topic/post you will need to subscribe to the individual topics inside the lesson itself (open the post you want and look for a subscribe link in the top right corner) for every lesson/topic you want to follow. You do not have the option to do this in an email, it must be done in the forum, here on the site. This is a function of the forums software we can not change. It is designed to allow forum users to only track threads they wish to follow. 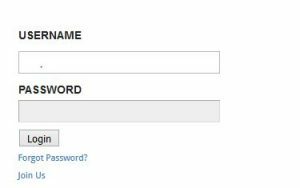 You may log out of the forums at any time by returning to the Workshop Login page, scrolling to the bottom, and selecting Logout underneath the Login boxes. Are there any no-no’s? Only One! Reply to topics, don’t create new ones. For Email, simply reply to the message, you don’t have the option to create a topic in via email. When in the Forum (on the actual website), open the topic/message, scroll to the bottom of the message, and reply or comment. Perfect! If you go into the forum and scroll down WITHOUT OPENING THE MESSAGE YOU ARE COMMENTING ON OR REPLYING TO, and use the box below the topic list to comment or reply (it’s tempting because the box to create a new topic is right there and looks a lot like the reply/comment box in the message), it will create a whole new topic. In doing so, you are not replying or commenting on a particular topic/lesson and your message won’t have any context. Hence, the post will be deleted or moved to the appropriate topic/lesson, if the moderator can tell where it was meant to go. However, if you do it on accident it is not a big deal, just email us at forumadmin@fthrw.com and tell us which workshop, and where you meant it to go, and we will happily move it for you. I am only getting the main topic messages and no replies or comments. When you open a message to read it in your email, you can’t subscribe to get the follow on comments/replies from the email. You have to come here to the actual forum, view the message there, and from the OPEN message subscribe (upper right corner) to get any follow on replies. This will not work if you are looking at the messages in your email, only when you are in the actual forum here on the website. It is a measure to keep our members from getting inundated with emails. We have nearly two dozen forums in all for our chapter members, not just workshops. This lets our members control what they do and don’t get. I only see a few forums. 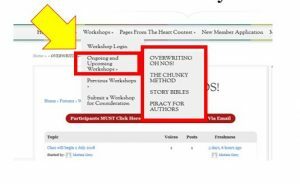 We only display the current and three upcoming workshops in the Current and Upcoming Workshops Drop Down Menus. 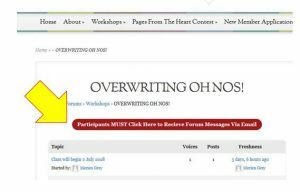 If you click on the Current and Upcoming Workshops Menu and look at the actual page behind/underneath it you will see the complete annual Workshop schedule. We will display Previous Workshops for 90 days under the Previous Workshops menu option on the Workshops Menu. It’s right below the Current and Upcoming Workshops Menu option. It says PRIVATE and won’t let me in. 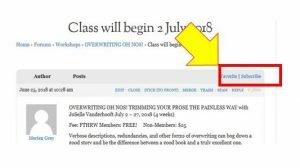 If you are a chapter member, selected a workshop, and the page contains only the workshop title and the word “Private” it means we need to correct your permissions. Please contact Merien at forumadmin@fthrw.com. 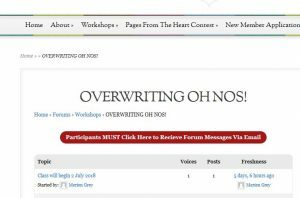 If you are a non-member, you may get access to other workshops by selecting the Workshops tab along the top menu bar, and scroll down the page to purchase individual courses. Remember, our chapter annual fee (that includes all classes is only $25), so the “Join Us” option may be the better way to go. 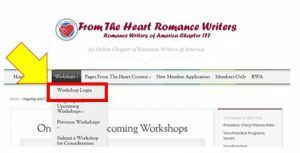 You can join the chapter from the Workshop Login page or our New Member Application, also on the top menu bar. Once courses are purchased you will be able to enter those courses. Or, once you have become a member, you will be able to enter most the chapter forums. Lots more information will be coming out about the forums over the next few months. There will be video tours available and all sorts of things, so please stay tuned and be patient. We understand it is new and there will be growing pains. We apologize in advance for any inconvenience. We thank you all for your willingness to learn a new process as we improve and grow.